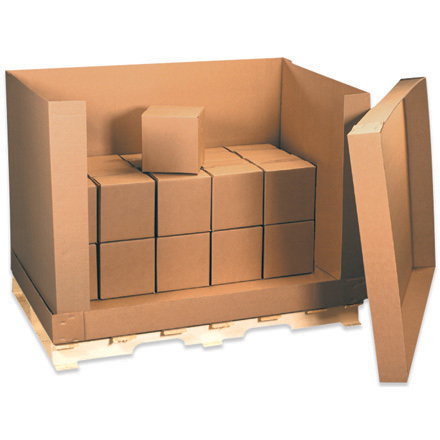 Use these large boxes to consolidate multiple piece shipments. Protects bulky, hard to pack, irregularly shaped items. "EO", "EH", "E" and "D" containers are commonly used for air freight shipments. Triple Wall - Containers are as strong as a plywood crate, but at the cost of corrugated. Double Wall - provides great protection and stacking strength. 30 x 17 x 17"
36 x 22 x 22"
41 x 28 3/4 x 25 1/2"
58 x 41 x 45"
26 x 26 x 26"
28 x 28 x 28"
30 x 20 x 20"
32 x 32 x 32"
36 x 36 x 24"
48 x 24 x 24"